​Johannes Wacker (born in Norka on May 20, 1855) and Christine Schnell (born in Norka on August 31, 1855) married on July 27, 1875 and immigrated to the United States in June 1906. After leaving Norka, they sailed from the Atlantic seaport of Libau (now Liepaja. Latvia) to Liverpool, England and then to Philadelphia. 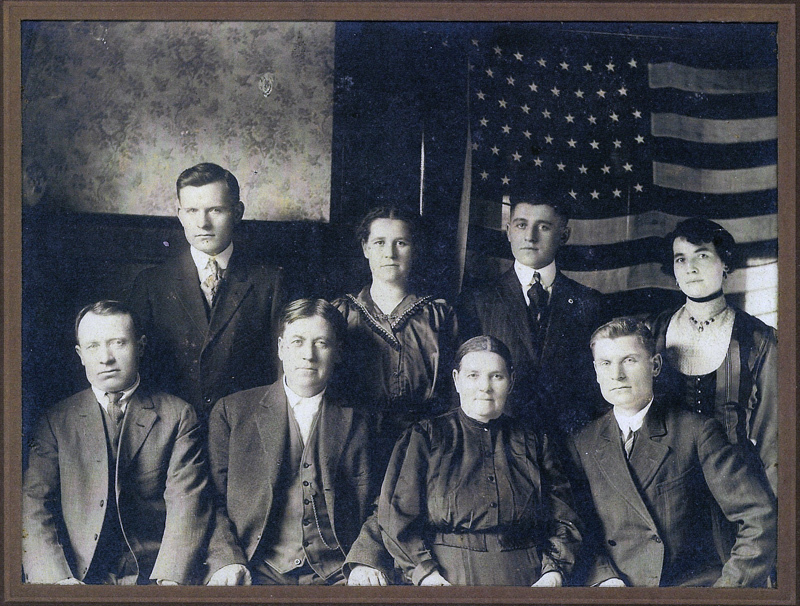 The Wacker family settled in Portland, Oregon with their children: George, Emma, Henry, Kate, Philip and John. Johannes Wacker and Christine (née Schnell) Wacker and Children. Back row: George, Emma, Henry, Kate. Front row: Phillip, Johannes, Christine, John. Peter is not shown. Photo courtesy of Kathy Hogan. Information and photographs courtesy of Kathy Hogan.